It had been raining all day yesterday, dark clouds, the thunder, the lighting and gust of wind. This was the perfect weather for Khichuri and begun bhaja, but I wanted something more soothing, something more comforting and there is nothing like daal bhaat . I remember as a child after we came back from a holiday or a road trip, dad would always tell ma, aaj raatey ektu daal bhaat hoye jaak. (let us have daal and rice for dinner tonight) One of the best known comfort food across India, whether, the East or North, Daal chawal is a home cooked favourite. 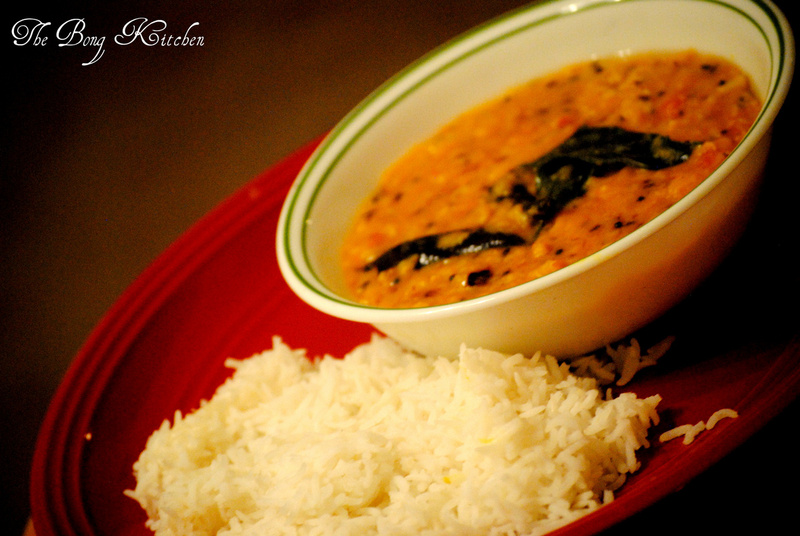 One of the best things about daal bhaat is that it is probably the easiest thing to cook. 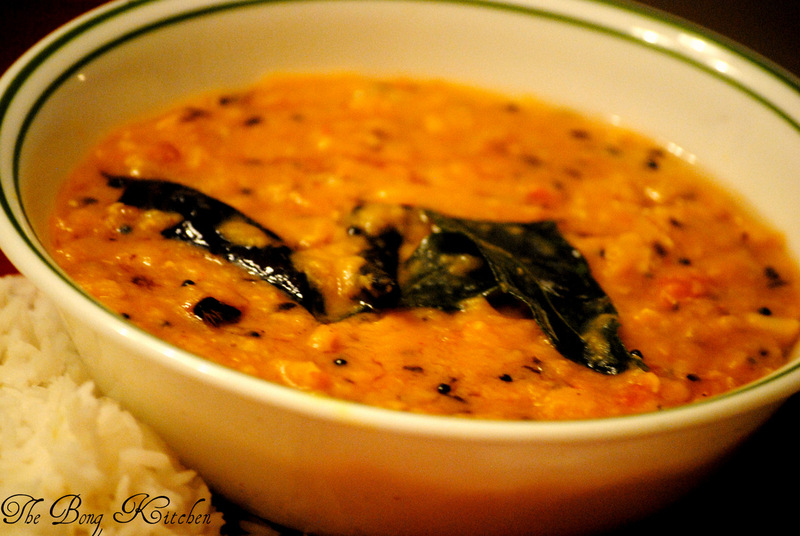 The popularity of Daal is not just restricted to India, apart from the sub-coninent, daal is a populr dish in most Indian restaurants in the UK and now even the US. I remember in an Indian restaurant in London, an English Gentleman after placing his order in the end added ” the Daal (pronounced as dawl) must be served with my madras curry.” So you see our humble daal chaawal or daal bhaat has gone a long way. 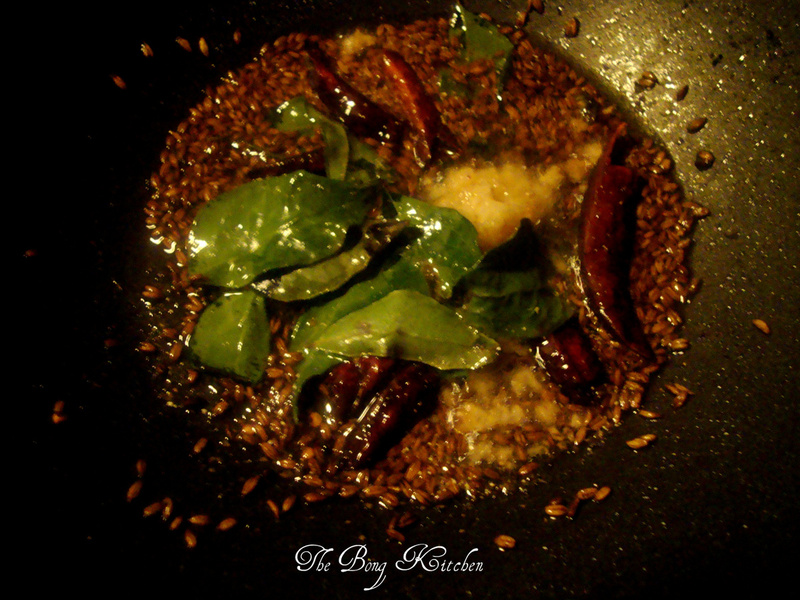 Finally, I realised I hadn’t done a post on daal bhaat so here you a simple dinner on a rainy day. Wash the lentils well in cold water until the water runs clear. Red Lentils tend to require a little longer cleaning process. Follow the same suit for the toor daal. Heat 1 tbsp of ghee (or oil) in a saucepan and add onions, tomatoes and garlic along with salt and turmeric – about 2 minutes, next add the the chopped tomatoes and saute for another 2 minutes. Add the lentils along with 3 cups of water. Stir and bring to a boil. Make sure that you lower the heat, close with a lid and simmer for 15-20 minutes or until cooked. I normally cover the lentils with a lid that has a hole on top which prevents the lentils from boiling over due to the steam.